June 15 marks World Elder Abuse Awareness Day – a day for us to remind ourselves and one another that elder abuse is becoming a global issue. It’s a concern we must turn our minds to and do our part to help others understand the challenges of our elderly. Practicing in the area of wills and estates law, elder abuse is an issue close to my heart. We receive a number of enquiries on a weekly basis from people who are concerned that elder abuse is taking place among their family or friends. Elder abuse is not a ‘one size fits all’, and it is a form of domestic violence. It comes in many shapes and forms; financial abuse, emotional or psychological abuse, neglect (whether intentional or unintentional) or physical or sexual violence. Elder abuse could be a carer taking advantage of their patient. Or, it could be a family member applying pressure to an elderly relative to make certain financial decisions. The effects of elder abuse are serious and severe. It may result in mental decline, weight loss, depression, distress, increased fear and anxiety or exacerbation of existing health conditions. When considering an elderly person any of these issues place unnecessary stress on the body which increases their susceptibility to new illnesses. In many cases, elder abuse is unreported. According to the Office of the High Commissioner for Human Rights, the unreported cases in Australia are around 100,000 per year. This means, we do not have a clear understanding of the true extent of elder abuse throughout Australia. 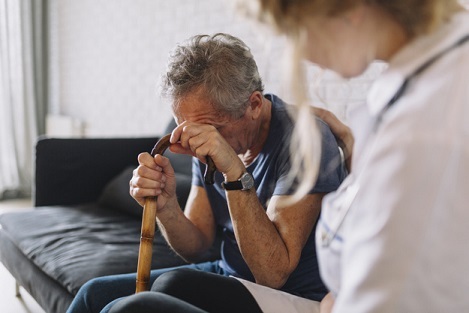 Elder abuse in Queensland can be reported to the Elder Abuse Prevention Unit who work with the victim to determine their situation, circumstances and needs. From there, they will liaise with the necessary service providers to assist the victim whether this is through providing advocacy, legal assistance, medical care or counselling. Calls to the Elder Abuse Prevention Unit have seen a drastic increase from the 200 calls per year the helpline received when it commenced in 2000. In 2014-2015 the calls were nearly 1300. This World Elder Abuse Awareness Day, I encourage you to take note of the resources we have available to us as a community to help raise the concern of elder abuse. If you have any questions regarding elder abuse of any sort, please feel free to contact me. Information, support and referrals for anyone experiencing abuse or witnessing the abuse of an older person. Provides general advocacy support or guardianship advocacy to older Queenslanders experiencing discrimination, harm or abuse. Depression and anxiety information, advice and referrals. Information provided by the community assists with crime fighting and crime prevention. Provides free help for women, men, children, and pets affected by domestic and family violence across Queensland. Counselling services for anyone at any time. Protects the rights and interests of vulnerable Queenslanders, including adults with impaired decision making capacity. Provides a range of services that help you plan for the future. Appoints guardians or administrators to act on behalf of adults with impaired decision making capacity. Free legal and support services for seniors. Contact details for local support groups. Counselling services for anyone who has been sexually abused or sexually assaulted at any time of their lives. Counselling and support service provided to Queensland residents who have been personally affected by crime, either directly or indirectly. An information service established to inform victims of violent and sexual crimes about the status of the person who offended against them. A free and confidential information and referral services about government agencies and community services supporting women. Phone: 1800 177 577 (Mondays to Fridays 8 am to 6 pm).